The Catechism of Hockey Coming Soon! Blessed Are You Coming Soon! 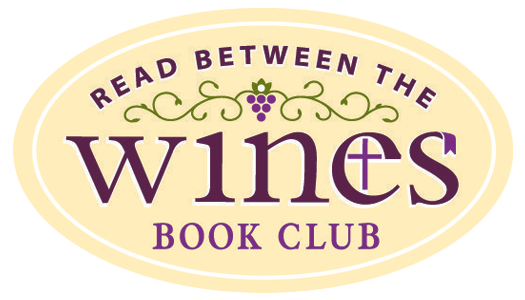 Each Year WINE will offer new books in our Read Between the WINEs Book Club, and three times a year (spring, summer, & fall) you can join us as we offer our Read Between the WINEs Book Club online! 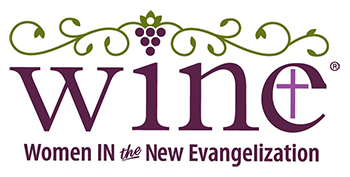 This is the perfect place to learn how to run a successful New WINE small group, to glean insights for your own small group, and to meet women just like you who are enthusiastic about WINE. Each book is a simple read for any woman at any point in her spiritual journey. All of the books are written in such a way that you feel as though the author is talking with you over a latte. And at the same time, they contain a depth of theological truths and teachings. 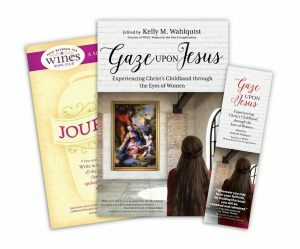 These books introduce women not only to life-changing relationships with other women in the small group setting, but to a life-changing encounter with Jesus Christ. Each book will come with a WINE-exclusive journal, which includes questions to ponder, space to write, and additional reflections to enhance your reading. Promotional ideas and meeting guidelines will provide everything you need to start your book club. IT’S EASY TO JOIN! SIMPLY FOLLOW THESE FOUR STEPS…. Join our Advent book club! Small Group Setting: Do you already belong to a book club or Bible study? Continue meeting, but in a more relaxed manner. Or simply invite some friends to read and discuss a WINE recommended book together! 2018 Advent Read Between the WINEs book club! Join us this Advent in reading Gaze Upon Jesus. Reflections/questions throughout the book will guide your group discussion, an accompanying journal will help enhance deepen the experience, and a virtual community will enable you to share with women all around the country. Simply check out our Advent Read Between the WINEs book club!